Because of the incredible generosity of our donors, some really exciting projects are happening in Africa! For example, two sand dams were recently completed in Marsabit County, Kenya. A sand dam works by burying a concrete wall to create an underground reservoir to collect runoff water. When runoff water from seasonal rain passes through the sandy desert soil, the sand filters and safely stores the water, which can then be drawn out with a hand pump. With the completion of these sand dams, the Kamatonyi and Illaut communities now have access to an improved year-round water supply. That means they have safe, clean water to drink and use for farming. 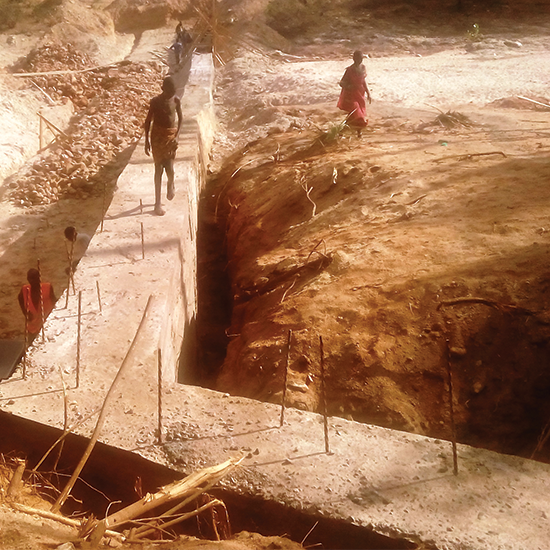 We are so grateful that we were able to be a part of these sand dam projects, and others like them that are creating lasting change in Africa.